Are you interested in pursuing film studies? Perhaps you are simply a curious film enthusiast who wants to know more about how film and history correlate? Browse through some of the film research publications of Dr. Cooper C. Graham. We compiled some of his academic journals as well as excerpts of his books. While mostly focusing on the history of media and film studies, these also cover a wide range of topics like art and much more. Cooper C. Graham (1986). Form and fable: The influence of German industrial art on Fritz Lang's Nibelungen. In I. Newsom (Ed. ), Performing Arts Annual 1986. Washington, DC: The Library of Congress. Cooper C. Graham (1989) 'Sieg im Westen' (1941): interservice and bureaucratic propaganda rivalries in Nazi Germany. Historical Journal of Film, Radio, and Television, 9(1), 19-44. View paper in pdf format. Cooper C. Graham (1993). 'Olympia' in America, 1938: Leni Riefenstahl, Hollywood, and the Kristallnacht. Historical Journal of Film, Radio, and Television, 13(4), 433-450. View paper in pdf format. Cooper C. Graham (1993). Unmasking feelings: The portrayal of emotions in the biograph films of 1908-1910. In I. Newsom, (Ed. ), Performing Arts Annual 1988. Washington, DC: The Library of Congress. Cooper C. Graham, "Olympia 1936: the Marathon Sequence," Library of Congress Performing Arts Annual , 100-123.
Cooper C. Graham, "The Kaiser and the Cameraman: W. H. Durborough on the Eastern Front, 1915", Film History, Vol. 22, number 1, 2010, 22-40. View online. Cooper C. Graham and Ron van Dopperen, "Edwin F. Weigle, Cameraman for the Chicago Tribune”, Film History, Vol. 22, number 4, 2010, 389. Ron van Dopperen and Cooper C. Graham, "Film Flashes from the European Front: the War Diary of Albert K. Dawson, 1915-1916", Film History, Vol. 23, number 1, 2011, 20.
Cooper C. Graham and Ron van Dopperen, "Nelson Edwards and the Newsreels: an American Life", Film History, Vol. 24, number 3, 2012, 260.
Cooper C. Graham and Ron van Dopperen, "Roger Casement on Screen: the Background Story on an Historical Film Opportunity 1915-1916," Historical Journal of Film Radio and Television, published online 26 January 2016.
Cooper C. Graham. “Uses of the Internet in Tracing the Mysterious Donald C. Thompson,” presentation at IAMHIST Conference, Bloomington, Indiana, June, 2015. 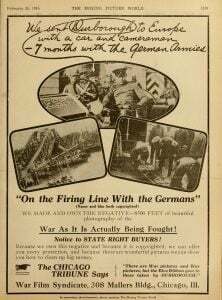 Ron van Dopperen and Cooper C. Graham, “Growth of Official Military Cinema in the United States, 1917-1918.” To be presented at an international colloquium at Namur, Belgium in November, 2017. Brylawski, S., & Graham, C.C. (1995). 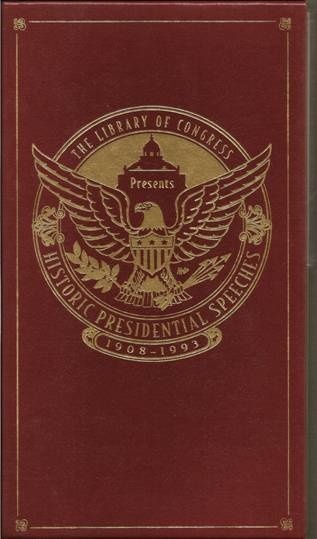 Historic Presidential Speeches, 1908-1993. Washington, DC: The Library of Congress. Multimedia compilation of speeches on six CD-ROMs, with introduction and listening guide. © Cooper C. Graham, Ph.D.